The Tanzania Civil Aviation Authority (TCAA) is investigating the crash of a Kenyan registered plane in Serengeti National Park on Sunday. The wreckage of the Safari Express Limited Fokker F-27 was sighted yesterday morning about 25 kilometres from the Kenya-Tanzania border. All the three occupants who were on board were burnt beyond recognition, according to Kenyan media reports. Yesterday, TCAA acting director general Charles Chacha said the wreckage of the aircraft was found within Serengeti National Park, but added that his team was yet to establish if the three people who were on board were killed in the crash. He said the aircraft departed from Mwanza Airport on Sunday at 7.26pm and that it was expected to land at Jomo Kenyatta International Airport (JKIA) at 8.39pm. “The aircraft lost communication a few minutes after taking off and the last communication between the pilot and TCAA was at 8.05pm. The pilot did not say whether there was any problem,’’ Mr Chacha said in a statement. However, the area control manager at JKIA, Mr Peter Davor, said that upon reaching an altitude of 14,000 feet, the plane lost communication with the radar at JKIA. The Kenya Civil Aviation Authority (KCAA) said the aircraft was supposed to land at JKIA at 8.36pm. 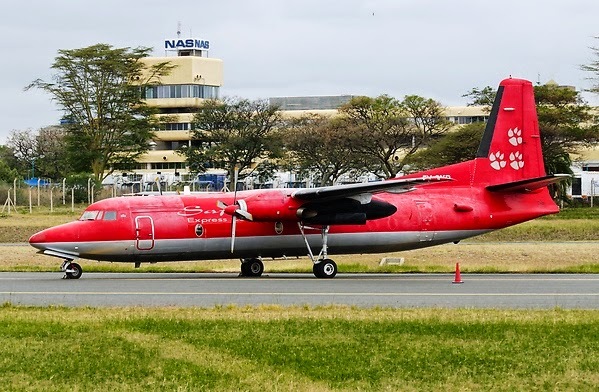 “The aircraft did not (land) as scheduled and an inquiry (was) sent to Tanzania as set out in the international standards,” KCAA said in a statement. In Dar es Salaam, Mr Chacha said a team of experts was investigating the crash. Safari Express Limited Fokker is help us to visit the safari by airway. This moment is one of the memorable moment of our journey. It is very sad new that plane crash in Senagati National park. Most of the visitor are coming here for enjoy with their family and friends not for lose their life. I think more research and implementation is required to control the plane crash incident.